Sandrine Scallop Knit Top https://www.review-australia.com/asia/sandrine-scallop-knit--top-white/RE19KW039.RENVY005.html Classic and striking, the Sandrine Scallop Knit Top makes a versatile addition to every REVIEW girl's wardrobe. 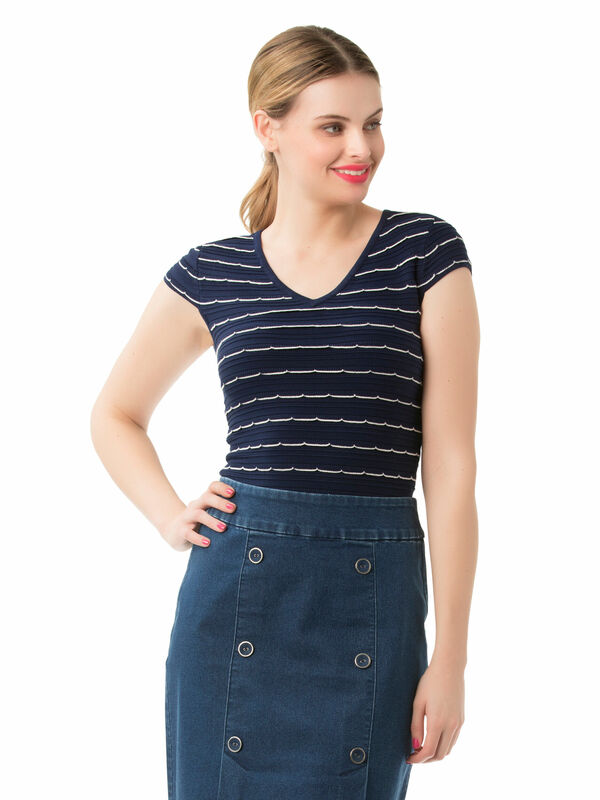 The feature a textured scallop edged stripe throughout, the stretch top is ultra comfortable. 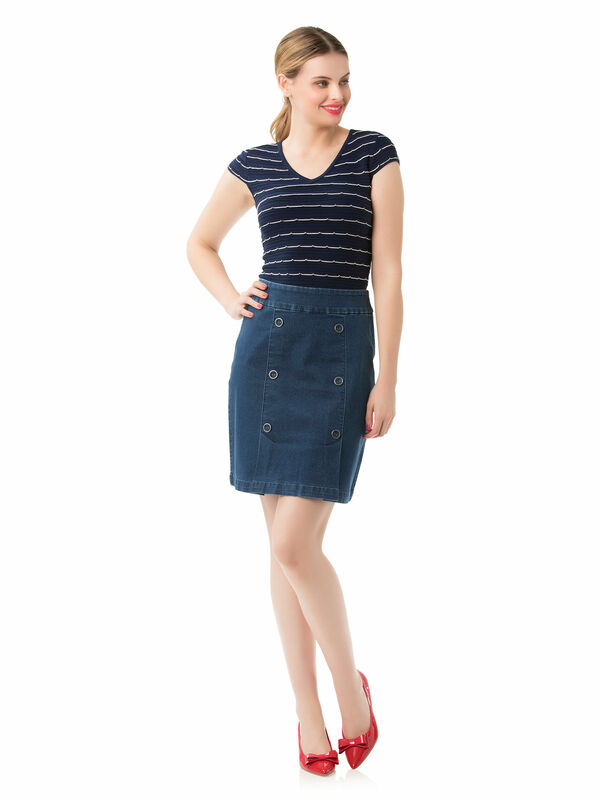 It features a ribbed hem, v-neckline and cap sleeves. Worn with Rylie Denim Skirt and Minnie Heels. Classic and striking, the Sandrine Scallop Knit Top makes a versatile addition to every REVIEW girl's wardrobe. 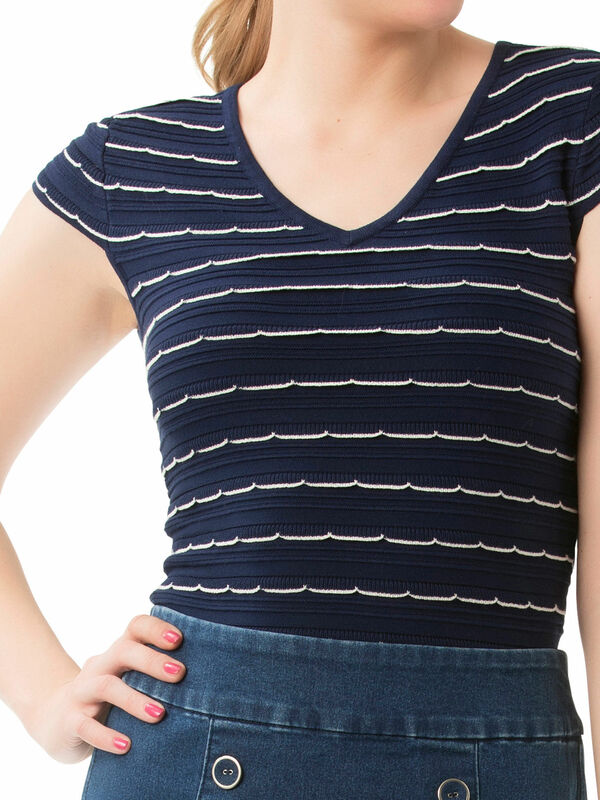 The feature a textured scallop edged stripe throughout, the stretch top is ultra comfortable. 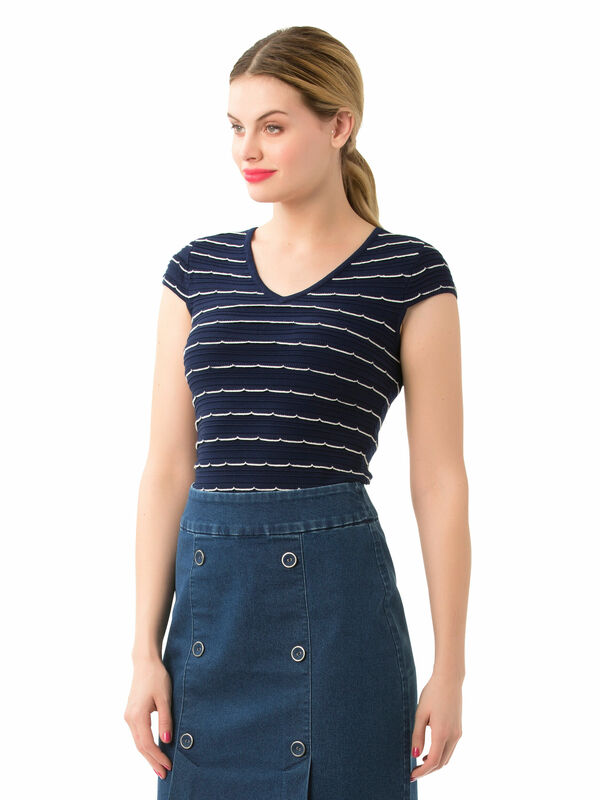 It features a ribbed hem, v-neckline and cap sleeves.